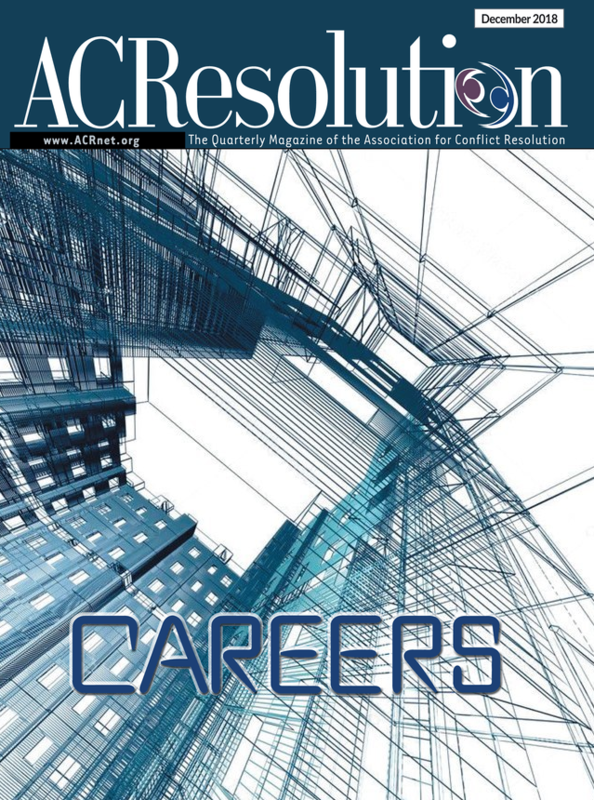 The December 2018 edition of ACResolution looks at careers. ACResolution is the professional magazine of the Association for Conflict Resolution. Julie Shedd, the associate dean at the School for Conflict Analysis and Resolution at George Mason University and I guest edited the edition. If you are looking at career change for yourself, your friends or colleagues, or your students, this edition is must reading.